Good day to all. Today I want to share about my latest craze!! Well, of course, its to do with crafts. This year I fell in love with another crafts: Crochet Amigurumi!! 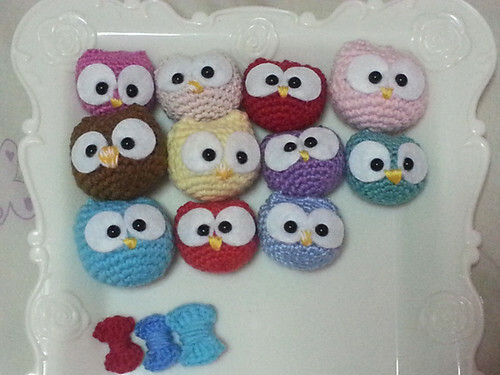 Thanks to my crochet teacher who happens to be a "famous crafter" too, Waisam Ho. She taught me how to crochet amigurumi and I'm totally hooked!! And you can see I crochet quite abit after this Pom Pom Purin. I will be sharing more of my crochet projects to come. After knowing the basics of crocheting, I googled like a mad woman for free patterns!! And kept crocheting and crocheting. And I can crochet whole day, bringing it with me while I bring my kids for their enrichment programs and tuitions. 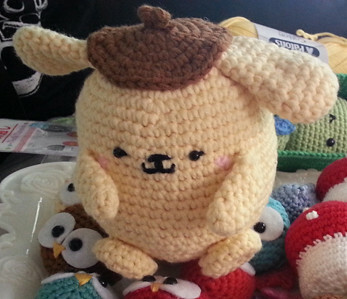 The natural thing after this Pom Pom Purin is to crochet my fav owls!! They are so so easy and fast to do!! 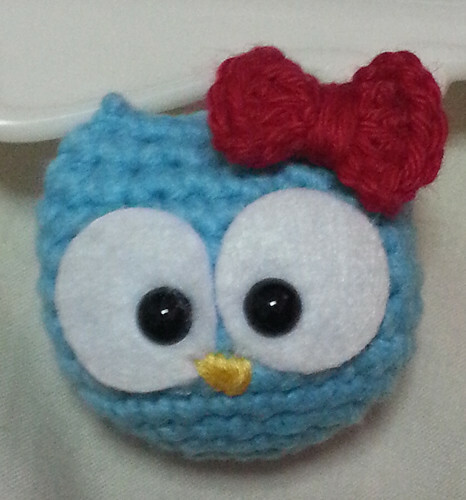 I made ribbon bows too to add to the owls. Isn't it adorable?? I made more of these and gave some to my friends too. Its actually quite easy to crochet. Youtube got lots of videos on it too. And its so so fun!!! Thats all for today. Will share more of my crochet projects to come.